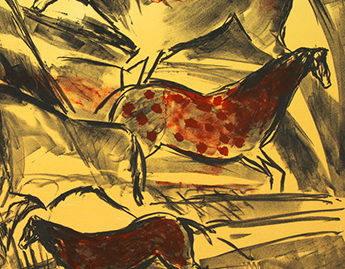 Inspired by prehistoric paintings in caves in southern France, Elaine de Kooning’s Lascaux Series includes five lithographs that reference the earliest examples of human image-making. 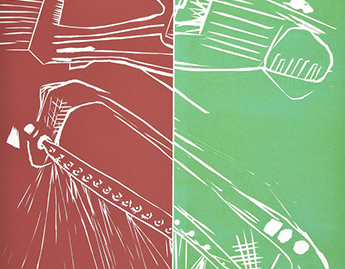 These prints were the first product of the Mount Holyoke College Printmaking Workshop, a program conceived and run by printmaking professor Nancy Campbell from 1984 to 2012. 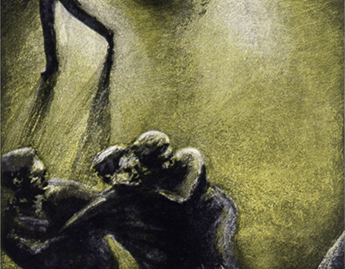 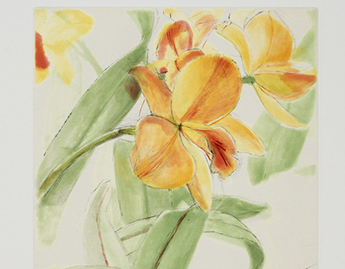 The workshop has brought women artists from diverse backgrounds to Mount Holyoke to create fine art limited edition prints, exposing students to highly successful women artists and the printmaking practice. 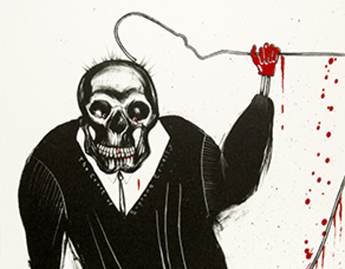 Students observed close hand the collaboration between artist and master printer—a process that often takes place behind the scenes in an artist’s studio or a print shop. 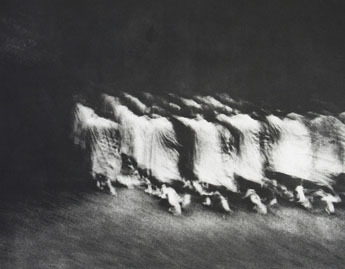 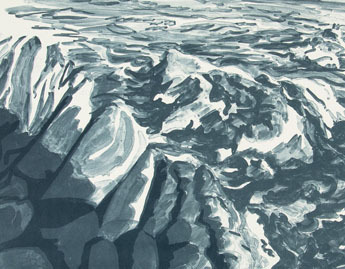 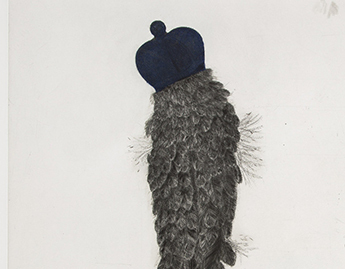 The Mount Holyoke College Art Museum holds a complete archive of prints editioned at the workshop, comprising more than 70 works by resident artists such as Vija Celmins, Susan Shatter, Sylvia Plimack Mangold, Kiki Smith, Petah Coyne, Faith Ringgold, Sue Coe, and Jessica Stockholder.